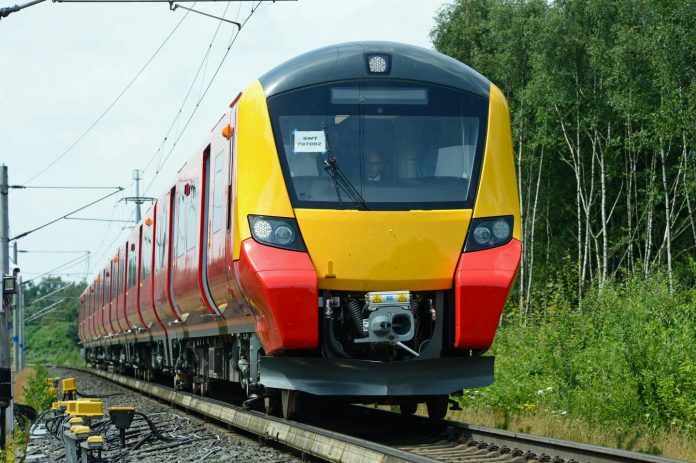 The UK’s Secretary of State for Transport, Chris Grayling, says he is ‘absolutely certain’ that the South West route’s Class 707 Desiro City trains will be taken on by another operator. The new operator of the South West franchise – a FirstGroup/MTR joint venture – has already confirmed it will be replacing the trains in 2019 – even though they are only just going into passenger service now. Grayling was speaking at the launch of the new South Western Railway (SWR) brand at Waterloo station on 4 September. 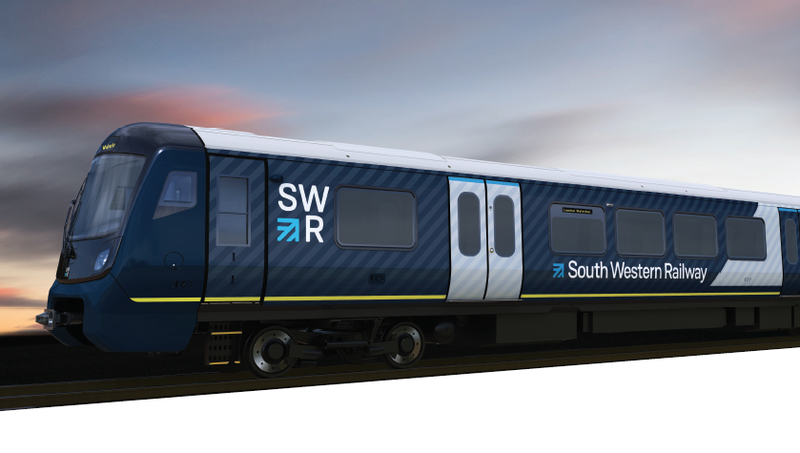 SWR has said it will invest £1.2 billion in the new franchise and the event was an opportunity to show off the first Class 444 train to sport the new livery. During the launch, a framed image of one of the route’s new Aventra EMUs in SWR livery was presented by Bombardier. The 90-train Aventra fleet will replace the Class 707 trains which were ordered by the route’s previous operator, Stagecoach. As of yet, Angel Trains, which owns the 707s, has not found a new owner for the fleet. ‘The franchisees have no obligation to use the existing trains,’ said Chris Grayling. ‘This is a different strategy it’s about having a more harmonised fleet of trains that improves efficiency, improves ways of working. In this case if South Western Railway are to replace the Class 707’s Desiro City with the new Aventra units that is classed as Class 701. Which are to replace the Class 455’s, Class 456’s, Class 458/5’s and Class 707’s. Could GTR Southern possibly use the Class 707’s Desiro City units to replace the current Class 455’s on outer suburban and inner suburban routes in & across South London and parts of Surrey to/from London Bridge and London Victoria. Or could the Class 707’s could go to Trenitalia c2c to work on London Fenchurch St-Shoeburyness/Southend Central semi-fast and London Fenchurch St-Leigh-on-Sea/Laindon rush hour “peak time” services. I’m ashamed that South Western Railway has changed their minds on only using the Class 707’s for short period as they have ordered the new Bombardier Aventra EMU trains from 2019 that will replace the older rolling stocks (Class 455’s and Class 456’s) aswell the Class 458’s and Class 707’s. My suggestion is that the Class 707’s could end up going to GTR Southern Rail to replace the Class 455’s on the South London suburban routes including Cattenham Corner, Caterham, Epsom, Epsom Downs and possibly as far as Redhill and Gatwick Airport. Or perhaps Class 707’s could be used on c2c. If c2c decides to use the Class 707’s as they already got 74 Class 357’s and are hiring the Class 387/3’s until 2019 which could end up going to Great Northern or Great Western Railway or possibly Gatwick Express. Not sure about that new paint scheme. How about replacing the Pacers with the class 707, us northerners most of the time go on theese terrible trains and we can’t stand it.